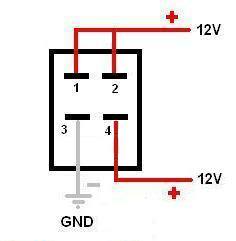 Wiring a 4 Pin lighted rocker switch, depends on the type of rocker switch. Just remember, whenever you come across a part with unknown connections, the first thing to do is look for the datasheet! If you don’t understand the pinout from the datasheet, then by all means post a question about it and we will assist with the wiring of our Rocker Switches. I need a little help wiring a 4 Pin lighted rocker switch. The switch has no labels of any sort so I tested it. Below are the results. Now how would I go about wiring it so that the LED works together with the switch? Will this work? BTW the switch is used to control an LED tube. That’s kind of generic on what you have. What type of switch do you have? Is it a standard DPST? 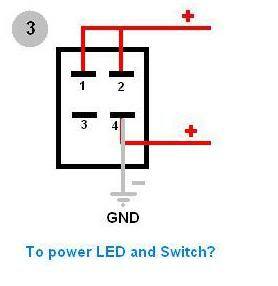 Or is it a SPDT with a terminal for LED ground? Post a link where you bought the switch. My guess is that it’s a SPDT switch with an extra prong for the LED (kinda like the ones from here are SPST w/ an extra prong for the LED). My GUESS is that you connect things between pins 1 (or 2) and 3. Then you ground pin 4 for the LED. THIS IS JUST A GUESS. Make sure you test it with a ohm meter to double check. Thaks guys! After much criss-crossing wires and getting zapped a couple times I figured it out. 24 amp, 18 watt lights, (the Walmart 20 bucks apiece kind) and I plan on wiring each set to a separate switch. And have those switches mounted in the overhead console. All total; 6 lights, 3 switches. I mistakenly ordered 3 of these 4 PIN illuminated DPST switches and probably should have gotten SPST. But they must still be usable, right? 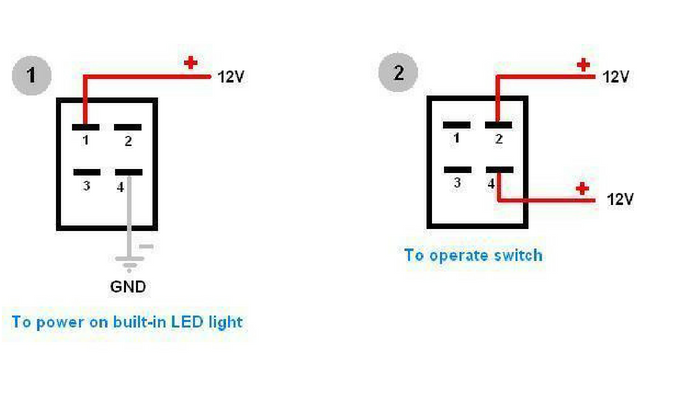 How does this 4 pin DPST illuminated switch get wired to control two lights? I also plan on using 3 panel mount blade fuse holders as well to be safe, but have read again and again that a relay is not necessary for such a low powered circuit. Is that true? If I do need a relay, do I only need one for all 3 sets of lights, or one relay per set? I’m not trying to advertise that site, just that those are the exact switches I purchased on Amazon, and that page provides all the specs for them.